Mt. 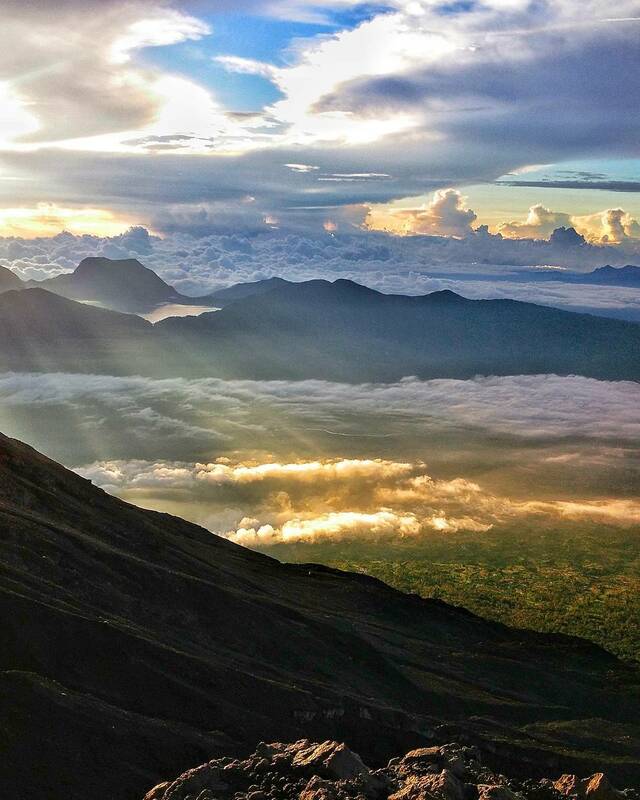 Kerinci 3805m Asl, Lake Kaco, Geopark Rafting (Grade 4), Geopark Museum, Rumah Tuo, Bukit Tinggi. 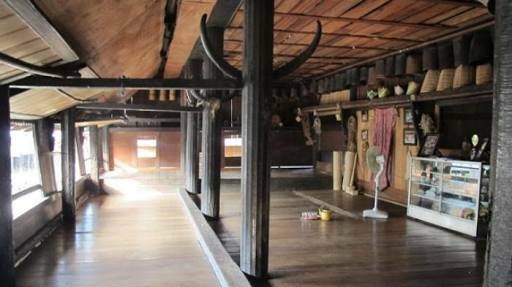 Transit from Padang Airport to Kerinci Homestay at 10 AM for 7 / 8 hours, passing through the beautiful scenery of Atas and Bawah Lakes in Solok, Minangkabau traditional house. Lunch by the lake or with a lakeview. 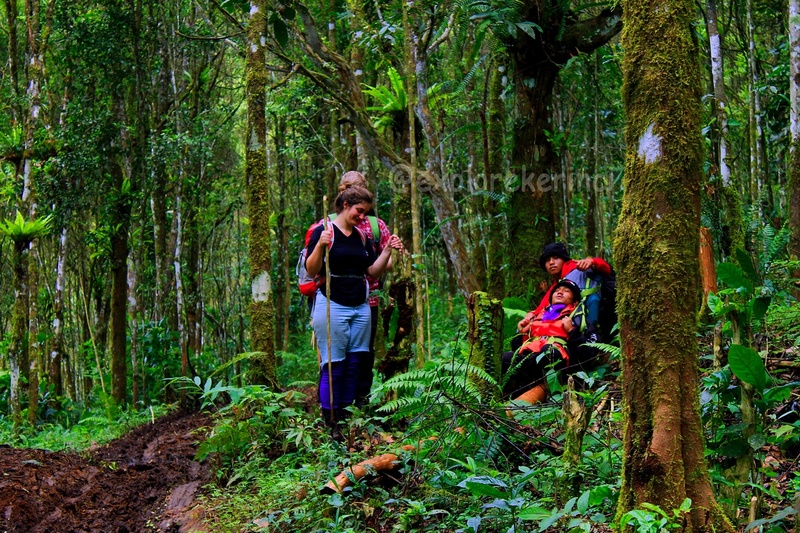 After breakfast at Kerinci Homestay, the trip will proceed to Shelter 3 (Camping Ground) Mt. Kerinci for 7 / 8 hours and rest in Shelter 1 for lunch. Wake up early at 3 / 4 AM for breakfast before going to the summit. 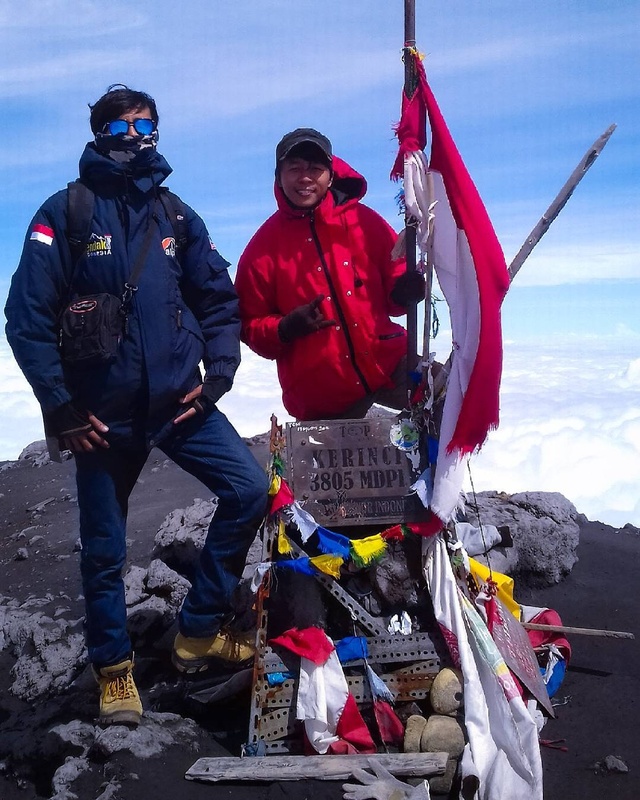 After having breakfast which has been prepared by the porters, the trip will go on to the summit for 2 / 3 hours, passing through Batu Gantung and Yudha Monume nt. After an hour at the highest summit in Sumatera, the trip will continue again to Shelter 3 (Camping Ground) for one and a half hours. Breakfast will be at the Camping Ground and followed by preparation to go back to the homestay. 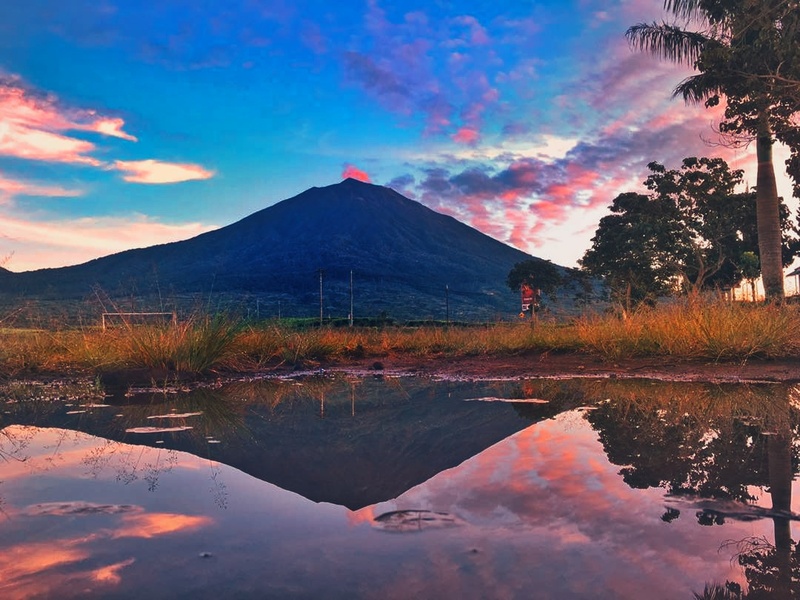 After breakfast, the trip will proceed to Lake Kaco Lempur which takes approximately 3 hours by passing through the Adat Lekuk 50 Tumbi Lempur Forest for 2 hours and Kerinci Seblat National Park Forest for an hour. During the trip to Lake Kaco, there will be 2 resting posts, which are Post 1 and Post 2. After an hour of enjoying the beautiful nature of Lake Kaco, the trip will continue again to Lempur Village and Siluang Bersisik Emas Waterfall. After breakfast, the trip will proceed to Air Batu Village for an hour (by car) followed by the preparation for rafting. 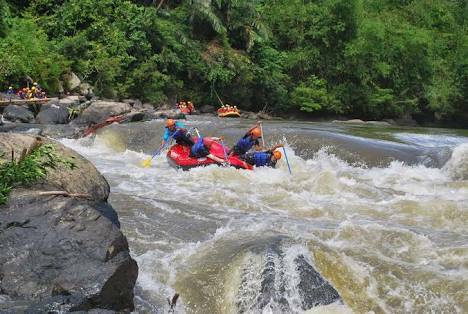 This rafting has been categorized as Level 4 (Grade 4) which traverses the Geopark Area and the Area of Wood Fossil, Pandanus Fossil, Fern Fossil, and Shell Fossil from 250 million years ago for 3 / 4 hours. 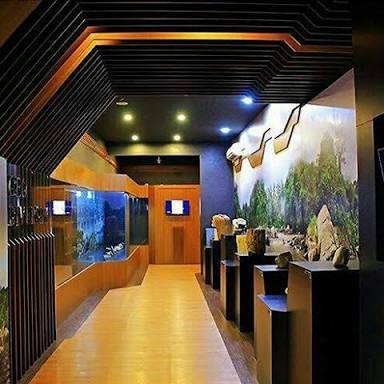 After rafting in Geopark Area, the trip will continue to Merangin Geopark Museum to see the historical heritage of Merangin. Next, the trip will go on to one of the oldest villages in Merangin to see old Melayu buildings and the other historical heritage of Merangin. After visiting old village in Rantau Panjang, the trip will continue to the Historical City of Bukit Tinggi. After a morning shower and breakfast, it will be time for City Tour which includes a visit to Gadang House, Gadang Clock, Japanese Cave, Kelok 9, and shopping time. 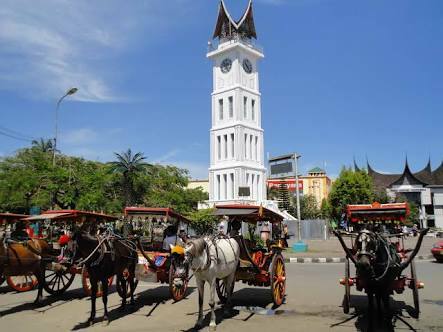 After visiting the Historical City of Bukit Tinggi, the trip will proceed to Minangkabau Airport to check-in at 11 / 12 AM.